Hey BBQ lovers, yours truly will be smoking up a heap of delicious Kansas City style pork ribs this Friday, July 15th! 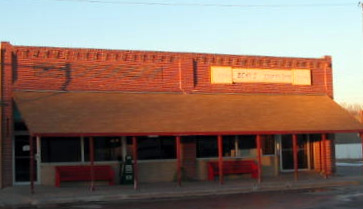 Come on down to the Prairie Junction in beautiful downtown Morland, Kansas at 5:30 P.M. for a free will offering supper to support the Morland Mercantile and enjoy the best ribs in northwest Kansas! 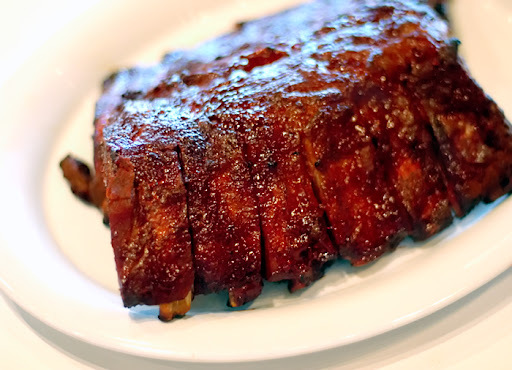 Tasty ribs you will enjoy! The Morland Mercantile is a community supported access to food facility and community kitchen that will be opening soon. Construction work is being done now on the historic grocery store building and equipment should be arriving this fall. Tasty ribs can be enjoyed with traditional sides and even a nice cold one if you wish! Community supporters Alex Leslie and food blogger Christopher Petty will slowly hickory smoke 140 pounds of meaty and perfectly seasoned pork ribs all day until they are just right for your eating pleasure! Come on out and get a great meal and support a great cause at the same time… and remember pigs always smell better when they are barbecued!